Language barriers, business etiquette, social hierarchy, gender issues and geo-political factors can all come into play simultaneously – often making what begins as a straightforward business transaction, into a tense exchange that occupies a substantial amount of time and effort. Whether it’s recognising the impact that long hours of fasting during Ramadan has on the ability of our international colleagues to spend long days focussing on work, or understanding the localised effects of our work on a distant community, there is a clear requirement for a culturally intelligent approach for all businesses that are engaged in work across borders. In an informal, person to person setting, any shortcomings in our knowledge of cultural norms are most often handled with good grace and humour by our hosts and it is certainly the case that any efforts that we do make to learn about another person’s culture, will be greatly appreciated. 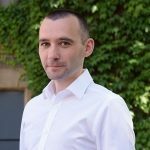 However, when we regularly work internationally, is a token effort good enough to preserve our corporate reputation? Recent history has some excellent examples of big businesses getting cultural intelligence wrong. 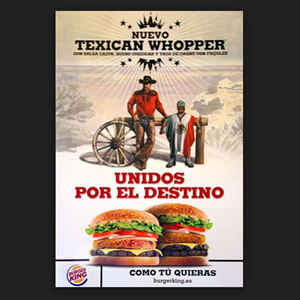 In 2009, Burger King celebrated the launch of a Tex-Mex style burger using a poster that depicted a tall, handsome American cowboy standing next to a small Mexican wrestler draped in a Mexican flag. The advert narrator states “the taste of Texas with a little spicy Mexican.” This advert drew so much criticism from Mexico that Burger King quickly dropped the campaign. In more recent news, the shock election of Donald Trump as president of the United States, the UK’s decision to leave the European Union and the increasing tensions around North Korea’s nuclear weapons ambitions have illustrated the importance of listening to what is being said on the ground, rather than to what the media or political pundits are saying. Of course, recognising and understanding the risks that are presented by operating in a new area is not a simple task and once the decision has been made to develop into unknown territory, there are a number of factors that must be considered in order to maximise your chances of success. These can include localisation of content, distribution and logistics planning, payments and banking, personnel and legal issues. Fortunately, all of these concerns can be responded to if we know how to make best use of the tools available to us. The internet and social media along with the reduced cost of international travel, have all made the world a much smaller and more accessible place to live and work. From Venezuela to China, we are now able to provide an effective 365-day service that quickly responds to customer requirements regardless of the time or location concerned. Coupled with high-quality, contextualised business intelligence provided by colleagues who live and work in situ, businesses can now operate across borders with access to an incredible depth of practical information. Whether recruiting a multi-national workforce, managing localised cultural concerns in the field, or exploring emerging markets in post-conflict countries; being prepared to respond to the challenges of working across borders has never been more important. Armed with accurate information and advice, a strong understanding of inter-cultural issues and a positive attitude, we can all benefit from working together as members of a stronger global community. Previous Post Weighing up the benefits of online testing Next Post Industrial Evolution. Leeds, the Northern Powerhouse and global business after Brexit.